On first glance, lifting straps don’t look like much. They are, as the name suggests, thin straps of material that you fold around your hands and wrists that miraculously assist you in improving your grip and therefore, lift more weight. Even on a second glance, it’s hard to see how exactly these flappy bits of fabric can have such a huge impact on your training. They’re almost magical. But either way, they do work and you will want them in your gym bag. If you plan on doing big compound exercises like deadlifts and heavy rows, then these straps can be invaluable. 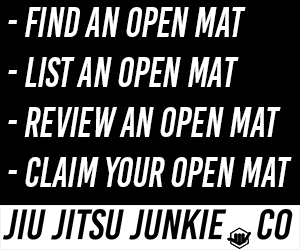 With BJJ, there’s always an emphasis on improving your grip strength and doing everything you can to ensure you have an iron grip at all times. This is great, but when doing exercises like deadlifts, you want your muscles to do the work. It’s extremely common to be mid-way through a set of rows, only to have to stop because your grip has worn out before your muscles have. Even with all those grip exercises you do. Your grip is just bound to give out before your muscles are truly worn out and fatigued. Lifting straps allow you to focus on the most important factor of the exercise; actually working your muscles. With lifting straps, you can expect to lift a lot more weight. Period. Obviously, this doesn’t meant to neglect building up your grip strength, grip is vital in BJJ, but it may be best to work your muscles and grip specifically in separate exercises/workouts. Rip Toned are incredibly confident and satisfied in their product. Why wouldn’t they be? Countless people have already bought their straps and reported back the massive gains in weight lifted and size/strength gained from using them. Rip Toned are so confident in fact, that they offer to send your money back in full if you use their straps and don’t notice a big improvement. These straps can also be used if you have a small wrist injury. Rather than let your hurt wrist continue to do all the heavy lifting, let these lifting straps and your muscles do the hard work. Most wrist straps came in the standard black colour, but if you like something with a bit more life in it, Rip Toned offer ten total colour options to choose from. These cotton lifting strips are 20.5 inches long and 1.5 inches wide, which should be more than enough material to suit anyone’s needs and increase their lifts dramatically. Harbinger claim that their straps provide 20% more gripping area than typical straps. If you’re a bigger guy and concerned that most straps won’t give you enough material to train optimally, Harbinger have you covered. Another set of straps from Harbinger and another set of straps for the larger lifter or just the lifter who wants more strap. These straps are even longer, even wider and even thicker than both other straps and the Harbinger 21501. These are the straps you’d want to use when seriously trying to break records and personal bests. They almost take your grip strength, or grip weakness, away and let your muscles do all of the work completely. The thicker padding makes the straps even more comfortable than before so you can workout both harder and for longer. The padded wrist supports are perfect for people with weak wrists. 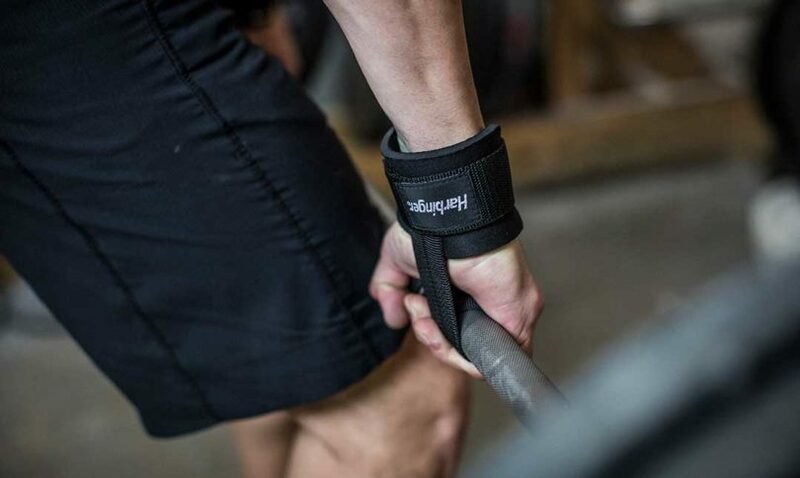 If you’re one of those people, you can even wear these straps as wrist bands during your normal workout to provide that much needed safety and support for your delicate joints. Many lifting straps look boring. Weight-lifting gear for men normally focuses on substance and function whilst eschewing visual appeal altogether. Which leads most gear to being mainly black without much design or embellishment. RDX buck such trends altogether. Making their name with cheap, yet high-quality MMA gear, RDX have invaded almost every other fitness market and established themselves as worthy competitors. These straps have all the hallmarks of their other gear. Visually appealing with bright colours and their very specific RDX style that is obvious straight away. You have a choice between five different style options including blue, red and pink straps. These straps, like all their products, are made with durability in mind and can withstand serious punishment on a daily basis. These aren’t the kind of straps that are going to tear and wither away with minimal use; they’ll be a mainstay in your gym bag. Now, that is a very bold claim to make and a very brave promise. But Anvil Fitness aren’t all talk. Every design decision made when creating these straps comes down to “will this make the straps as tough and durable and long-lasting as a strap can possibly be?” If the answer to that question was no, then it wasn’t implemented. You can expect these straps to last a long, long time. No tears, rips or frays or you get your money back in full. They provide the best possible support for your wrists and forearms and can help ward off pain and injury that often occur with those weaker, more delicate parts of your anatomy. You should definitely work on increasing your grip strength. Straps aren’t used so that you never have to use your grip. If you train BJJ, particularly in the gi, then of course you’re going to need some degree of grip strength. Straps are for when you really want to blast your muscles and you really want to make some serious progress without being hindered by weak wrists and weak grips. If you’re attempting the heaviest deadlift you’ve ever done, you’ll want to make sure you’re at your absolute strongest before gripping that bar, which is where the straps come in to play.